Conor McGregor's teammate, Dillon Danis, didn't let a swollen face and head injuries keep him from having a good time after UFC 229 ... in fact, he went to the nightclub after his scrap with Khabib! And, how do we know? Because he ran into UFC star Brian Ortega!! 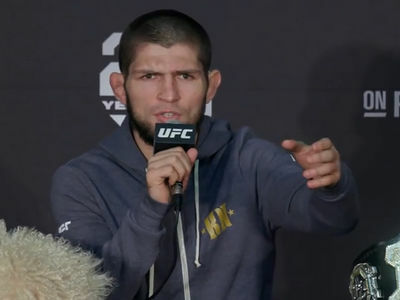 Brian tells us he was hanging at the club following Conor vs. Khabib when he saw Danis in a hoodie trying to stay low-key. Ortega says one of Dillon's eyes was swollen and he claimed to have suffered a concussion -- but wanted to hang out and enjoy Vegas. Remember, Danis was the guy Khabib jumped out of the Octagon and attacked after the fight. 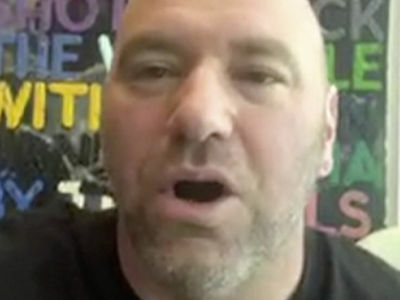 Witnesses tell us Danis had been hurling offensive slurs at Khabib all night long. But, Ortega says he was chilled out by the time he hit the club -- and even talked about the incident later that night saying, "Sh*t got crazy." Brian says he was concerned for Danis' safety because there were a bunch of Russian guys in the club -- so he got his crew to make sure Danis got out of the place safely. As for Ortega's fighting future, he fights Max Holloway at UFC 231 in December -- but he's still interested in fighting Khabib one day!